Feel like a modern goddess in Sherri Hill 52790. This classic jersey mermaid gown features a gracefully draped open back. The bodice has a V-neckline, tank straps, and a cinched waist. Jersey caresses your curves in the fitted mermaid skirt, and flares out into a stunning sweep train. 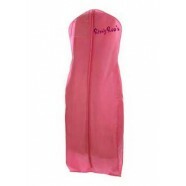 Walk the red carpet in this gown at a military ball, wedding, or prom.